Childhood obesity is on the rise. The following statistics are taken from the CDC, Centers for Disease and Control Prevention, last updated in 2017. The percentage of children with obesity in the United States has more than tripled since the 1970s. Among children today, obesity is causing a broad range of health problems that previously weren’t seen until adulthood. It is even said that due to the rise in the obesity epidemic, the parents of this generation may outlive their children. Today, about one in five school-aged children (ages 6–19) has obesity. Childhood obesity has immediate and long-term impacts on physical, social, and emotional health. Children with obesity are at higher risk for having other chronic health conditions and diseases that impact physical health, such as asthma, sleep apnea, bone and joint problems, type 2 diabetes, cancer, and risk factors for heart disease. Your child will not be able to play sports, dance, sing, or do other activities without struggling. Your child may even need to be forced to take medication. Children with obesity are bullied and teased more than their normal weight peers,18 and are more likely to suffer from social isolation, depression, and lower self-esteem. In the long term, childhood obesity also is associated with having obesity as an adult. This sets them up for complications they may have to deal with for LIFE. Some data show that children with obesity miss more days of school compared to students with normal weights. Missed days of school, whether due to illness or to avoid weight-based bullying, can make it hard to keep up academically. Changes in the environments where children spend their time—like homes, schools, and community settings—can help children achieve and maintain a healthy weight. What can you do for your children to help prevent them from turning into just another statistic? 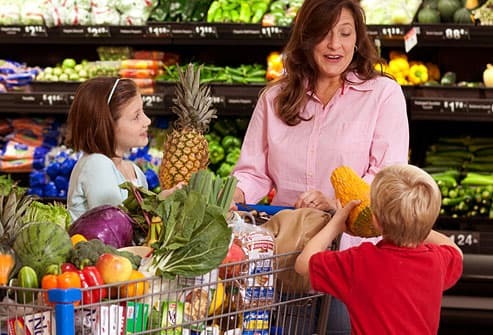 Prepare meals with your children, go grocery shopping together, reduce electronic time, and have family meals together. Involving, NOT forcing, your children when making healthy food choices will EMPOWER them to make healthy choices! Not as easy as it sounds? Still struggling with the picky eater? We can help and make it fun! Call today to sign up your child for our Healthy Kids and Parents Program. We will be piloting this program for the month of August, every Tuesday from 10:00 am-12:00 pm we will be inviting the kids to join us for specific activities geared towards their age group, and every Thursday night from 6:30-7:30 pm we will be working with both parents AND children to make healthy behaviors fun! SPOTS ARE LIMITED. Call today! Egg Yolks: Controversy? Or truly something to avoid? Recent research indicates that cholesterol in food does not have a huge impact on our body’s cholesterol in our blood. However, saturated fat and sugar seem to be linked to heart disease. Although an egg contains no sugar, and a small amount of saturated fat, I still recommend patients only consume one egg yolk per day. Yes, they are rich in omega 3 fatty acids, which is good for heart health and overall health, HOWEVER, in just one egg alone at a meal does not provide enough protein or calories. I recommend patients eat 4-6 egg whites at a sitting, to consume 4-6 egg yolks, that would be an additional 20-30 grams of fat at breakfast…that is nothing to blink at. In moderation, of course they are beneficial to consume, just like any food. However, there are many other sources of omega 3’s that provide less calories, and more bang for your buck in terms of nutrition. However, I have found patients feel as though they are wasting food when they throw out egg yolks, so I did my best to find other things to do with those pesky yolks. Take a look, but I don’t own the rights to any of these uses, nor have I tried them. If you are a brave soul, may the force be with you. Hair conditioner. They say the egg yolk’s fat content conditions the hair. I’ve never tried it, but I imagine it will feel pretty slimy..I guess they say that’s why it’s conditioning! Face mask. “Heals blemishes, moisturizes, and softens facial skin. Use your hands to apply a lightly whisked egg yolk to your face and neck. Wait 20 minutes before rinsing with lukewarm water.” I don’t know about you, but I’m not the type of girl to experiment with anything slimy and yellow on my face. This does include anything green, black, and painful from what I have heard. There is no desire. I’ll have a dirty face for the rest of my life and totally accept it. A Jewelry Cleaner. “The sulfur in eggs oxidizes commercially sold silver jewelry with sterling .925 or lower. Hard boil one or two eggs and crumble the egg yolk at the bottom of a plastic container. Place a few paper towels over the egg yolk and then place on top of the paper towels. Seal the container and store for a few days. When finished, sure the jewelry will smell, but it’s nothing soap and water can’t fix.”….I understand the concept, but I refuse to experiment with jewelry I wear all the time. Nothing is worse than that sulfur kind of smell in my opinion…maybe use a not so favorite piece of yours to try this method out? Create edible paint: “Mix each egg yolk with about one tablespoon of water and add food coloring of your choice. Paint cakes, cookies, or whatever food you’d like to add color and a touch of decadence.” I think this is an awesome idea if used with food, like your child’s birthday cake. However, you should use caution with children. This could lead to them thinking all paint is edible. Then we have a problem on our hands. Tempura Paint. If you want to be artsy for a day, try making this paint using egg yolks. Feel free to google this process, it’s just too long to explain here. Feeding the dog your yolk for a smooth coat. Now, I’m not a vet, so although this will probably work brilliantly, do we have any vets in the house that can tell us if it will cause further health complications like it does in humans? From what we’ve seen, it should only be given once a week. So, this doesn’t mean you should be feeding your dog 5 yolks a day. If you have 20 dogs, maybe. Just maybe. Compost. This is the only other use of egg yolks besides the trash that I would actually participate in willingly. It will give your garden the proper nutrients to grow! Feel free to always reach out with any questions. A Registered Dietitian Nutritionist’s role in society is to provide factual evidence and updated research. We are the nutrition experts in our field, use us!